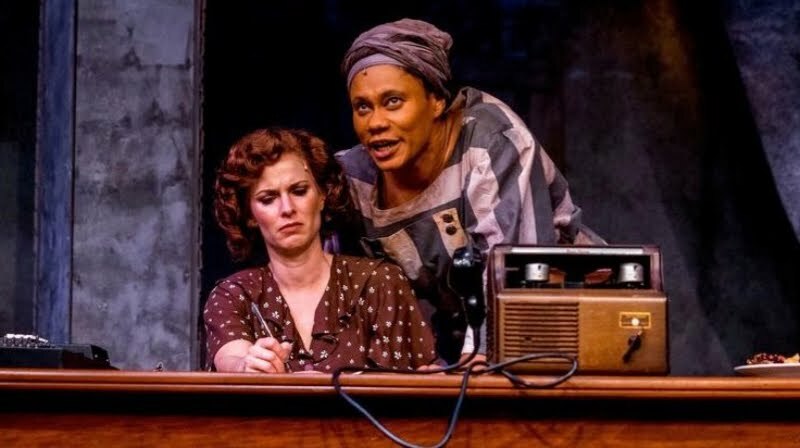 Carol's Theatre Reviews ~ It's Fun To Go Out: “Black Pearl Sings!” In A Rousing Production at San Diego Rep.
“Black Pearl Sings!” In A Rousing Production at San Diego Rep. I didn’t know of Minka Wiltz before I went to see “Black Pearl Sings!” by Frank Higgins, now at the San Diego Repertory Theatre through Dec. 17th in the Lyceum Space, but I do now, she has a voice that soars, laments and is soulful! “Trouble So Hard”. 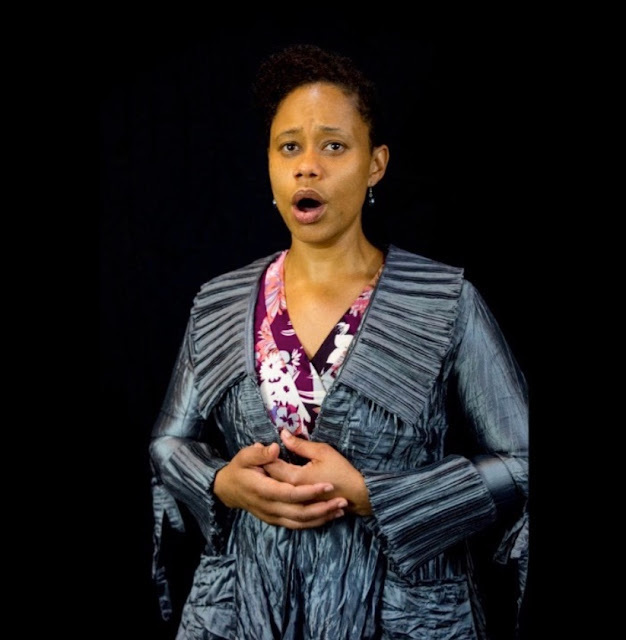 As Pearl in “Black Pearl Sings!” Wiltz teases, tantalizes and plays with us until she unleashes the full extent of her vocal chords in an array of soulful tunes, bringing us to our collective feet at plays end with “African Song”. Pearl didn’t come looking for Susannah; she’s ten years into her sentence in a Texas prison for the murder of the man who raped her daughter. No, Susannah sought out Alberta Rose in the prison after all the women the warden recommended didn’t have what Susannah what looking for. “Black Pearl Sings!” is based on the story of Huddie Ledbetter AKA Lead Belly. Originally musicologist John Lomax began making ‘field recordings of various folk music styles’ with the help of Lead Belly. Harvard folk musicologist Lomax and guitarist/singer Belly made the lecture circuit on the east coast with an eventual recording contract then went on to record over forty songs for the company, but they never sold well. In playwright Frank Higgins’ current incarnation Lomax and Belly now the women Susannah and Pearl as protagonists seems right as he might have smelled the changing times and put Susannah right in the middle of a, before her time, feminist and a strong voice/movement for women fighting the cultural tide. And I confess while I have not heard Belly sing, I can attest to the showmanship and voices on stage with both Pearce and Wiltz, and you won’t hear any complaints from me. The story pretty much follows the cat and mouse game the women play as they flush each other’s motives out. Susannah is woman of independent mind, very unusual for a woman of her time, whose spirit and chutzpah make her a perfect candidate portraying what it takes to be a strong woman living man’s world. Pearl wants to get paroled, find her 22-year old daughter that she left behind in Houston and bargains with Susannah to that end. On the other end of the spectrum, Pearl has to fight to get what she wants as a black woman in a white (wo)man’s world. And sing she does, with almost two- dozen songs in the song list; she pretty much captures the audience with jaws dropping. The two find themselves seesawing back and fourth faces softening as they make plans for Pearl’s ultimate release and Pearl giving Susannah almost what she wants. Ms. Wiltz, an accomplished musician in all fields including opera, stunned and surprised with her powerful vocals. 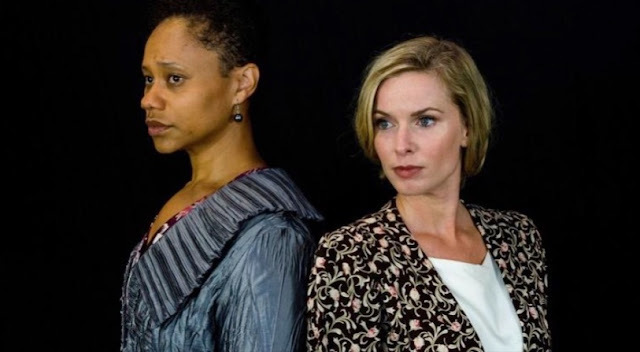 Under director Thomas W. Jones II deft direction their story unfolds fairly true to form with Wiltz’s Pearl as some match for Pearce’s Susannah, but both holding their own contrasting views. In the first act we meet up with Pearl as she enters, locked into a ball and chain singing, “Down on me Lord, Down on me” crashing the ball and he foot on the floor as she walks around the stage finally stepping up and meeting Susannah. After intermission we find that Pearl is released from prison. The two are sharing Susannah’s Greenwich Village flat and getting ready for recordings and concerts. They still have conflicting views on how the concerts will go but as long as Susannah keeps her end of the bargain and does all she can to look for clues about Pearl’s daughter, Pearl conforms, sot of. 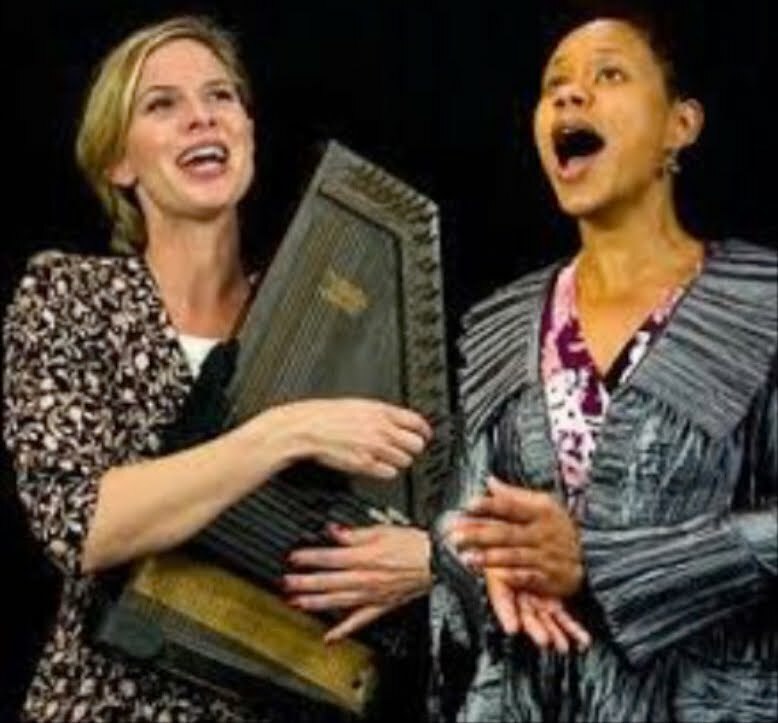 And short of ruining all her chances of singing before large academic groups oft times going off at the mouth, she succeeds in giving in to Susannah for the most part but saving the very last treasure for herself. Credits go to Mary Lawson’s for her great period costume design, Sherrice Mojgani’s lighting, Matt Lescault-Wood, sound, and Victoria Petrovich projections that filled the walls around the prison office and Susannah’s Greenwich Village apartment and changed the face of the moveable columns designed by Sean Fanning. Battling for what women want takes courage, perservance, and moxie. Both women had what it took then. It’s an uphill battle still given the references in the play that Susannah would have to pay dearly for Pearl’s parole, as covert inferences during some exchanges, were explicit during the give and take between phone talk with Susannah and the warden. For a modern day drama with historical references, this should whet your appetite. I really want to express my gratitude to you.I hope you welcome comments because I must say that I like your posts so much.I wait for them and always support you. Your articles are very useful.I get good feelings everytime I read your posts.I have a liking for your posts. Please, upload more and more posts. The writing work is remarkable, and I am so pleased that you were able to share this article here.I am crazy about this blog. This is very educational content and written well for a change. The writing work is remarkable, and I am so pleased that you were able to share this article here.I am crazy about this blog. I tried anyway. Heaven knows why. Maybe just to see if I could or maybe because I was tired of working for the man hating my job and staying in debt. The first few months I just kind of half assed it. Like I said, I was mainly doing it for me. As I started to earn an income, make connections, helping people and getting results of my own...I really realized the potential.